Everyone is talking about Cloud and how great it is. As an SME, there are many scenarios where Cloud can help save you money, work smarter or more efficiently. The three major considerations for Cloud computing are security, availability and trust. Concept have designed all of their cloud services around theese three points and as an ISO certified company, you have peace of mind that your company data is safe. All data on our cloud services is stored securely in the North East of England. 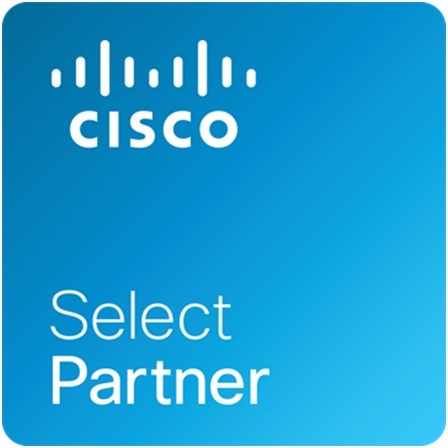 We have built highly secure networks using industry leading technology from Cisco with layers of security running all the way though. Our systems operate on fully resiliant server clusters but in the unlikely event of a failure, all users are redirected to a mirror site within seconds. Concept have been providing quality IT solutions to local businesses for the past decade; many of our clients are still with us from the day we started. Knowing where your data is and who is looking after it gives you the reassurance you need. Public cloud providers offer a specific solution with set functions which are built on a public platform shared by all of its users. Examples of public cloud services range from social-media sites like Facebook and Twitter, to media sites like iTunes, Shazam and Spotify, and also software systems like Adobe Creative Cloud, Xero Accounting, Google Docs and Office 365. Away from the user-end, public cloud services can also be used to hold and process information. Systems like Amazon Web Services can run databases and host websites, Hosted Exchange systems provide staff with enterprise-class business email and file sharing systems like dropbox. Private Cloud providers create a dedicated solution which can be used and configured to fit completely round your business needs. Whilst the solution may sit on shared hardware, the private cloud network is totally isolated and protected from other service users. You have the freedom to install applications, in-house systems, databases and configure the system to match your business processes. Private cloud gives you all of the benefits of an on-premise IT system but without the expensive hardware being stored in your office. Hybrid Cloud is typically a mix of public cloud solutions, on-premise systems and private cloud. Most businesess already use some cloud based services alongside their on-premise systems - even though they may not consider this to be a hybrid. Common examples of a hybrid setup are where the business has an on-premise server but backs up to on-line storage. The CRM or accounting software may also be based on-line - just like Sales Force or Xero. Usually, even where line-of-business systems are held on-premise, services such as spam filtering will be cloud based with messages being checked and cleaned off-site before they are forwarded to your office. Cloud based apps provide a solution to one specific function. Examples of cloud apps are Facebook, Xero Accounting, NetFlix, Hotmail and BBC iPlayer. These applications are nearly always available for you to use no matter where you are or what device you use. Because these apps focus only on one specic function (such as accounting, social-media, streaming movies / radio / TV) they are excellent at what they do and can engineer-in high availability of their service. Naturally, because these applications only do one specialist thing, you're going to need to use lots of them. Most organisations already use a mix of cloud based apps in their day-to-day running. Thank you Adam for dealing with the problem efficiently and liaising with BT.